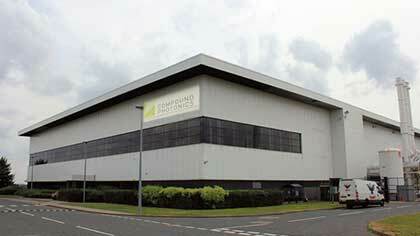 Around 100 jobs have been secured after a US firm completed the purchase of the Compound Photonics factory in Newton Aycliffe. Kaiam Corporation, a US maker of datacentre transceivers, has acquired the manufacturing facilities at the Aycliffe Business Park site. The acquisition includes investment by Compound Photonics into Kaiam to further develop the factory, which was formerly home to RFMD and Fujitsu. Kaiam is a private company founded in 2009 and makes hybrid photonic integrated circuit (PIC) technology for pluggable optical transceivers in data-centres. The Newton Aycliffe facility will enable Kaiam to significantly increase its manufacturing capacity for silica-on-silicon planar lightwave circuits (PLCs) and 40Gb/s and 100Gb/s transceivers, and adds both electronic and optoelectronic compound semiconductor devices to the firm’s product line. The acquisition brings new space, tooling and an experienced team to complement and expand on Kaiam’s existing large-scale manufacturing facility in Livingston, Scotland. The new facility also allows Kaiam to produce indium phosphide (InP) photonic integrated circuits that will be needed for advanced transceivers in the future. The 300,000 sq ft Aycliffe site includes a fully operational wafer fab with 100,000 sq ft of cleanroom space for processing, packaging, and testing III-V devices. Kaiam CEO Bardia Pezeshki said: “The Newton Aycliffe facility is a strategic acquisition that gives us both increased manufacturing scale and vertical integration. “We already fabricate our MEMS and PLC devices on silicon, and purchase discrete modulated lasers and detectors as sources and receivers. “However, future transceivers that run at higher speed and use complex modulation formats will require integrated photonic elements that are highly differentiated, and will not be readily available in the market. Simon Goon, managing director of economic development company Business Durham, said: “We welcome Kaiam, an international corporation that has already found success in the UK.